Actually, I liked it . . .
Sure, they wasted their one chance to change the direction of the Halloween series (the right way). The year long coma is BS, yes, indeed. 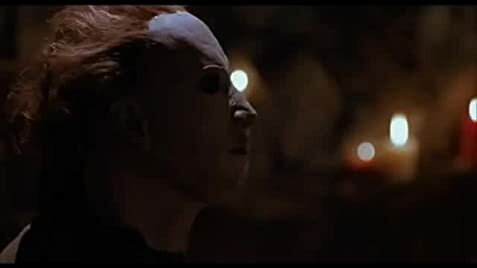 Sure, the psychic connection between Jamie and Michael is a little goofy, ill-explained, beyond the scope of a Halloween movie, and exists for no real reason, and yes, other people wearing a mask similar to Michael and pretending to be Michael is getting old (not to mention predictable.) The mask doesn't resemble any of the previous masks really, the Myers house had an inexplicable make-over . . . I could keep these complaints rolling for some time (don't even get me started on the man in black), but despite all my reasons to not like this film . . . I prefer it over #4. I found Halloween 5 to be strangely fun, which horror tends to be when you stop caring for the cast. While I like Danielle Harris and Donald Pleasance in the leads, most of the supporting characters I didn't really like at all, so when Myers starts the party rolling I'm rooting for team Thorn. And this time around, Miky proves he has a dark sense of humor. I especially like his choice in masks in Halloween 5 . . . But is it scary? No, but there are a few genuine intense moments towards the end as Michael inevitably runs out of victims and closes in on the stars. I liked all the chases involving Danielle Harris and confrontations between Donald Pleasence and evil personified . . . even if said confrontations are on the silly side. Speaking of Harris, despite her character not being able to talk in the script, she manages to rise far above the material and actually pull it off. Or in other words, while her character was written by a hack and sloppily thrown together, she works wonders with the very little she's given. It makes me really wish she got writing worthy of her performance, but like a professional, she makes the best of it . . . and to think the studio wouldn't let her reprise her role after this? A slap to the face after an insult . . . oy. I remember reading on the VHS box of Halloween 5 the exclamation, `Michael finally unmasked!' And couldn't help but chuckle as I recalled him being mask-less at least once in every Myers-inclusive Halloween until this film. Granted, this is the first time he, himself, takes it off. Oh well. As for the film's ending, I can't forgive because it lead to the atrocity known as Halloween: The Curse of Michael Myers which felt Halloween 5 was extremely flawed but still fun . . . so it set out to make a sequel that was all flaw and no fun . . . or something. Danielle Harris and Don Shanks became good friends over the course of filming, reportedly spending a lot of time together while off set. Loomis: Why don't you stay the night? Tina: Oh, sorry, I've got to run. Tina: Stay away, okay? You know you're really creepy, filling that little girl with all that bogeyman crap. Loomis: I believe that you're in danger. 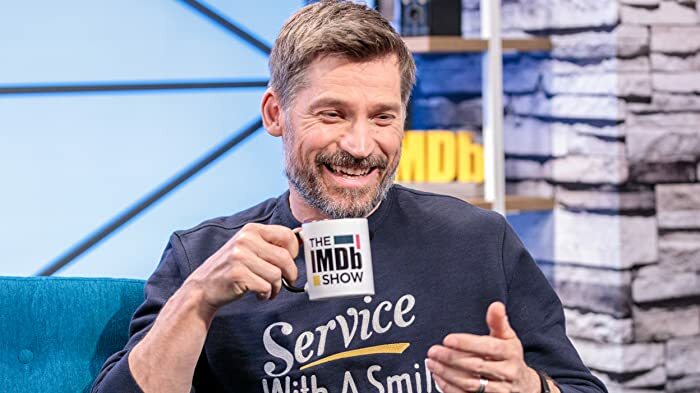 Jamie believes it too. (at around 4 mins) A safety line can be seen attached to Michael's jumpsuit when he grabs onto the netting in the river. Some dialogue and gore was cut from the U.S. release, the latter to obtain an "R" rating.